MLS®, REALTOR®.ca Listings – Paperwork Digitally Signed. We Do All Your Paperwork and Send You Digital Agreements To Sign. It’s That Easy! FOR LEASE listings click here for an exclusive limited time $79 UNTIL RENTED listing. Is your property in GTA? Click image below. This is what a buyer see. "Having our house listed on MLS is the number one way that brought people to view our home, and got it sold. The staff at flatprice.ca were organized and friendly and we would definitely recommend this service to people, and use it again! Thanks FlatPrice!!" We specialize in providing Flat Fee listings for homes for sale by owner in Ontario. List your property for FREE then upgrade to a Flat Fee listing on REALTOR.ca. If your property is in Ontario, YES! 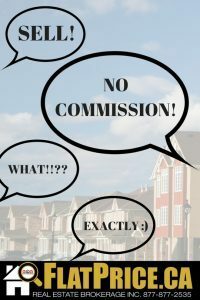 You can list it, sell it all for no or little commission. It's your choice. Purchase online or Call 647-281-5324 to speak to a licensed real estate agent who can help you purchase a flat fee no commission listing. We are a licensed discount and full service real estate brokerage. We list properties directly on realtor.ca as a flat fee listing. We also list full service. We have real estate agents across Ontario who are a part of our flat fee real estate model. Contact any of us today to list your property as a flat fee and we’ll be happy to assist you and discussing the best flat fee listing package for your needs. We offer property owners FLAT FEE LISTINGS in ONTARIO. ANY PROPERTY IN ANY CITY. The trademarks MLS®, Multiple Listing Service® and the associated logos are owned by The Canadian Real Estate Association (CREA) and identify the quality of services provided by real estate professionals who are members of CREA. Used under license. The trademarks REALTOR®, REALTORS® and the REALTOR® logo are controlled by The Canadian Real Estate Association (CREA) and identify real estate professionals who are members of CREA. Used under license.